All we are seeing is the success of the The Dime Trap and the album is actually coming more close for releasing. It QUITE unlucky to us that the album will not be dropping this night just like we are keeping our eyes Open for The Carter V.
However,some of the tracks which have here on X from T.I new album are those track he featured Meek Mill,Yo Gotti For Double Singles: ‘Jefe and Wraith. The tracks will also join the upcoming tracks that will make of the The Dime Trap album. 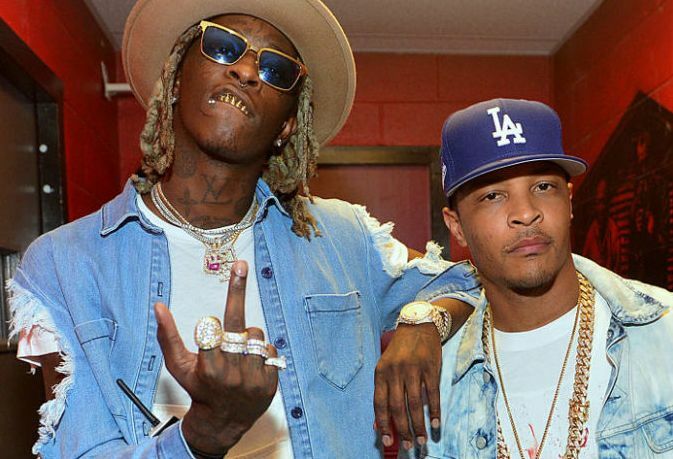 Today T.I has added Young Thug in his new album as they collab. on a title The Weekend. The gets Thug as guest appearance on T.I new project set to drop next month just we have reveal the releasing date previously and you can check that out also.You should also know that this track never mark the common song from the pair and if you can recall About The Money i think thats another hit song they have on YouTube.